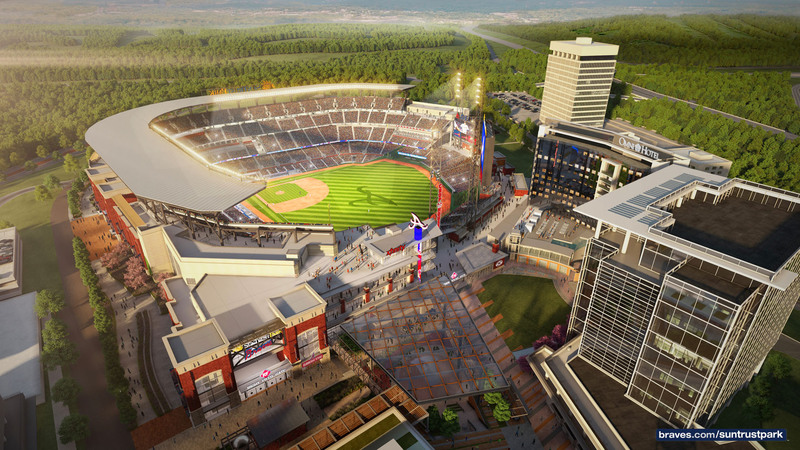 SunTrust Park the 41,500-seat ballpark which will be the new home of the Atlanta Braves in 2017 will be surrounded by it’s mixed-use partner, The Battery will feature office space, a hotel, 40 retail stores and restaurants, entertainment and 550-600 residences. A nine-story office tower will house Comcast’s regional headquarters which promises to bring over 900 jobs and install a state-of-the art fiber-optic network to improve the fan experience. Big name retailers are in negotiations and may include: Vineyard Vines, J. Crew, Ann Taylor, L .L.Bean, UNIQLO, Free People, Anthropologie, Gap, and Lululemon. 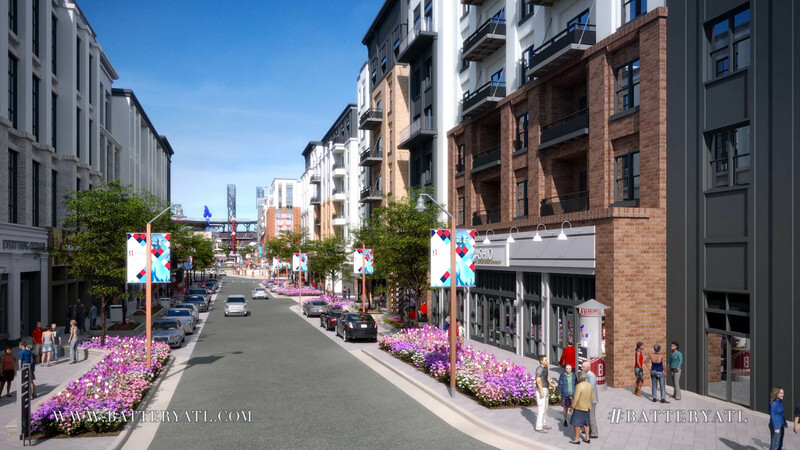 Crowd-drawing restaurants including: Ford Fry’s Superica, Antico Pizza, CRU Food & Wine Bar, Tomahawk Tap Room, serving Fox Bros. Bar-B-Q, a Linton Hopkins’ steak house and possibly Shake Shack. There will be 20 restaurants in all. For an overview of The Battery watch this video.